Hi – just a shout out to everyone experiencing these crazy and unusual weather phenomenas we are having right now… fires, hurricanes, earthquakes, any flooding, etc. It’s been a really crazy year for weather and I’m sure we will all be glad when the new year starts. Puerto Rico had a direct hit with Maria and I read the entire island is without power. Let’s pray that the guys keep missing all of this tragic weather and stay one step ahead! 🙂 One more bit of news – just a reminder that we will only be doing ONE POST per country. Brazil has 3 concerts alone from Sao Paolo, as well as Curitiba. Look for Curitiba/Sao Paolo next Monday. Ok, now on with this lovely story from Daniela… In search of…. Summer was at the door. We usually spend part of August at the sea but this year we had the idea of ​​going to Sicily. My husband is Sicilian, but for 39 years we did not return to Sicily moreover, it was well known that Piero, Ignazio and Gianluca would have had a whole month of holiday and with a pinch of luck we could meet at least one of them. While I was preparing for the trip we would have traveled definitely train, as my husband does not like flying or even going to the ship. I keep reading news about Piero and Ignazio, because it is clear that Gianluca will spend his summer at Roseto. I read right away that Ignazio stayed with Alessandra in Sardinia where IL VOLO had their last concert so I miss the hopes of seeing Ignazio because he will stay the summer in Sardinia. We had a very detailed program, which included visiting almost all Sicily and visiting many places and monuments. Meeting one of the boys would be the icing on the cake. The evening before our visit to Taormina, I find out that Piero this year is not on vacation in Taormina, is in San Leone, darn, just this year had to change program ?? Even though I was a little disappointed, Taormina is always beautiful, I have seen the Greek Theater, a magnificent place for our guys concerts, and then the Botte where they often go to eat, the Metropole hotel where they stay and the Bambar where we also got a granite. All places frequented by IL VOLO, but no trace of them. 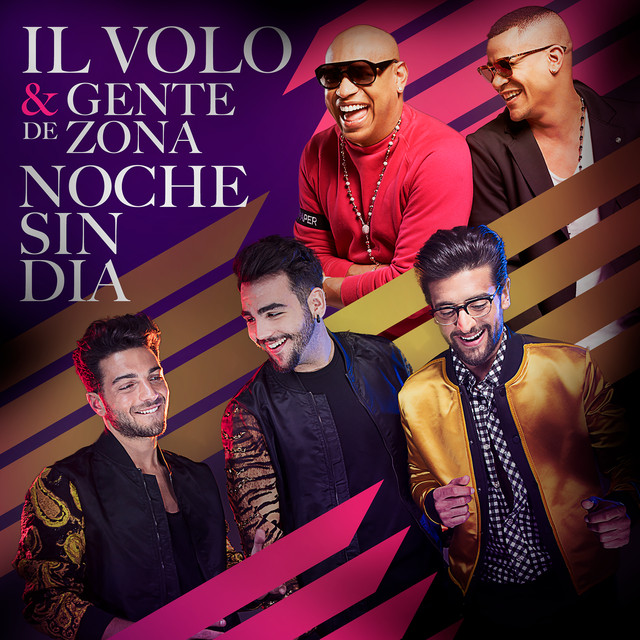 That night, back to the B & B I realized what I call “the power of the union IL VOLO”, I phoned two virtual friendships known thanks to the common love for the boys. They live near the area where I was and so have come to know me, it was beautiful. I now know Melina (of which I posted the review of Taormina) and Nancy. The next stage of the trip is Agrigento, but passing from Naro, the town of Piero. I would never go to Piero’s house, I wanted to see the Castle and House Teca dedicated to him. We arrive at Naro which was almost noon. It was incredibly hot. Beautiful country in the hinterland, with all tuff houses. As Marie and Jane had told us the roads more go up and more tighten, we had thought to park down and walk on foot. We did a long staircase and at last there is the castle, almost a manor that dominates the valley. We take some photos and enter the courtyard. As I search the door of House Teca di Piero, a caretaker looks out and says “we are closing, we reopen at 4pm”, useless to insist. We could not wait, we had an appointment at 3pm in Agrigento and definitely would not return to Naro again. Darn it for the second time. As we reach our destination in Agrigento, I see on the map the place where our B & B was very close to San Leone where Piero is spending the holidays, not even 3 miles. I’m very happy, I have another chance to see Piero. The next day we wake up early, we have planned a beautiful hike to the VALLE OF THE TEMPLES, an enchanting place full of history. We walk for hours under a burning sun, but what we have seen repays us from fatigue. It’s 2 pm and we have not eaten yet. I suggest to my husband “we go to lunch at San Leone”? We park at the harbor and have lunch and then take a long walk to the harbor, the nearby beach and the promenade. Of Piero there is no shadow. It is very hot and we are tired of the day, we go back to the B & B for a shower and rest. The next day we headed to the SCALE OF TURKS where Piero posted photos with friends and his watercraft. Even here nothing Piero, but we still have it all afternoon and my dear husband still takes me to San Leone for an ice cream. Again we walk back and forth on the waterfront, we stopped until evening, seeing a beautiful sunset and the lights of the night. My husband was more disappointed for me, nothing Piero. I thought maybe that day Piero had gone to visit his parents. Patience. Let’s go back to the B & B. I connect to my phone that was unloaded and what do I see ??? Many photos of Piero just posted made in San Leone, exactly where we were up to 5 minutes before. It is not possible, that anger. I lost hope to see Piero. The trip continues, we go to Palermo. As we travel, I keep reading the news from my cell phone and what do I find out? Ignatius is no longer in Sardinia, now he is in Marsala. Evviva, Marsala is closer to Palermo, maybe I can even see Ignazio, my favorite !! Palermo is a huge, beautiful, chaotic city, full of monuments and my husband’s birth town. After seeing Palermo in the long and wide, we decide to visit the surroundings also Erice very close to Marsala. As we climb up the beautiful fortress of Erice what do we find out? Ignazio in those days is at Favignana, one of the Egadi Islands that you can see very well from the fortress of Erice, but to reach them you have to take the ship, which my husband will never do. But Ignazio, why have not you been to Marsala for a few days yet? Darn, this opportunity is also lost. Our trip is about to end, we have seen magnificent cities full of history and marine landscapes of an enchanting blue color. Sicily is truly enchanting, and the delicious food. We did not meet Piero or Ignazio, patience there will be other occasions. Returning home I saw photos of Ignazio and Piero published in the same places I was just before. Darn, the guys did not synchronize the time with me. Next time we will be better off, meanwhile Sicily is in my heart !! Credit to owner of photos that I’m guessing are Beppe’s! Previous PostQuito, Ecuador – September 17, 2017Next PostKeep Them Coming! Ah Daniela, you are following their footsteps, or do they follow yours? One day you will meet, and it will be a happy meeting. Tell Beppo flying is easy after the first time. Rose Marie, is a question I asked myself while I was in Sicily, wherever I went Piero and Ignazio were there shortly after me, maybe they were chasing me !!! Dear Daniela, SLOW DOWN. Let them catch you and then call ME. Grazie! By the way, I don’t run too fast (unless I am chasing) so problem for me. You are right, I had to slow down so they could reach me … I do not know if I would call you, I’m bad, I kept them all for me !!! By the way, Beppe says he is not yet ready to have a first flight on an airplane. Daniela, my question is – how do you find out where the boys are? What secret source do you have? I too would have been so disappointed not catching a glimpse of the boys. You are beautiful in the pictures taken of you. Your husband is so lucky to have a lovely wife. The scenery was simply gorgeous to see. And Jana I cannot find your comment about the boys acting up on stage and after a few minutes of consideration we decided that you are right about their behavior and we have great hopes the boys find a happy medium between being silly and entertaining the audiences. At some of the concerts I found on YouTube from South America, the audience drowned the boys out completely. They handled it like it wasn’t annoying and it certainly was very disrespectful to such artists. They are maturing nicely. Victoria, I do not do a lot of work, the guys love to be on holiday in their land as they are often on tour, it is well known that all three love the sea, so if during the summer holidays go to Roseto (which is near Montepagano ) you will find Gianluca. Ignazio and Piero are Sicilian and almost surely find them in their beloved Sicily. Our guys also love to post many photos (Ignazio much less) of their vacations. Last year Piero with his brothers was in Taormina, this year he has changed and went to San Leone because he is closer to his country Naro and also because having the watercraft could use it better than Taormina. Ignazio was on vacation in Sardinia but then returned to Sicily because his parents still live there and it is normal to stay with them in the summer. You know that our guys love their families and love to stay with them so in these vacation times it is not uncommon to find them at their parents’ home. Daniela, maybe you will get lucky next year. It looked like you were having a wonderful time in Italy. It is the most beautiful country we have been to in all our travels. We loved everything and everyone was so nice to us. How lucky you were to visit all of those beautiful cities. We can hardly wait to return. Victoria, have been 10 days very intense and we also saw Siracusa, exactly the square where the boys made the photographic service for Energetix. An intense but very nice journey. Such a wonderful vacation Daniela, thank you for taking the Flight Crew along with you and your husband .You certainly visited all the wonderful parts of Sicily. Regrettably the boys are very elusive, but can pop up anywhere at any time, so I am sure you will meet up on one of your travels. Perhaps next years vacation ??? Thanks Marion, it was a great trip but next time I absolutely have to meet them. Daniela thank you for the wonderful posts of the cities of Italy. Also nice to see pictures of yourself. Beppe is very lucky to have a beautiful wife. Loretta, grazie mille, the photos have made my husband, and I will report to Beppe the compliment you made to me. Daniela thanks for such a lovely story. Maybe next year the boys will go to the same place you will vacation. Thank you Gina, hopefully, never lose hope !! Daniela, I loved the story of your trip to Sicily. It reminded me of our trip there two years ago. We also went to the Bam Bar and Greek theater in Taormina, the Valley of the Temples in Agrigento, Marsala and Palermo. No sightings of Il Volo either, but we met someone in Marsala who played soccer with Ignazio. Sicily is so beautiful, we had a wonderful time and would like to return again someday. Mary, it was really beautiful, we saw so many wonderful things. Taormina is really the “pearl of the Ionian”. Who knows maybe we could meet them, I told my husband that the next concert in Taormina I want to go with him, so who knows how it happened in Verona, maybe we meet you in Taormina, it would be beautiful !! We would love to see the boys in Taormina if they do a concert there again! It is such a beautiful setting. Also would love to see you and your husband. abbracci anche voi. Thanks Daniela for sharing your vacation with your husband in Sicily. The pictures were lovely and Sicily does look so beautiful. I am hoping my husband and I get a chance to visit. It must have been frustrating to keep missing seeing Piero and Ignazio. You were so near yet so far away! Yes Margaret Sicily is really very beautiful, rich in history. If you were able to come, you would be excited and hope that you and your husband can come one day. It was really frustrating not to meet the guys but the beauties we saw have partially repaid. I thought I would post my birthday greetings here to Ignazio since I have sent them three times and have not received any response. Hope you don’t mind and can add them to your list. Happy Birthday Ignazio! I wish you health, joy and much happiness. Loved seeing you, Piero and Gianluca at your wonderful “Una Notte Magica” concerts in Easton and at Radio City Music Hall. They were truly magical nights filled with beautiful music! Hopefully you can make some appearances in the US in 2018 and I know we can look forward to more beautiful music. Love and blessings to you, your family and friends. I still have to write my wishes !! Thanks for sharing your wonderful vacation with us, Daniela!!! Sorry you did not see any of our precious trio!! You & your husband enjoyed a great time anyway! Love the photos! Great love to you Anne. Thank you for the compliments to the photos, it is true myself and my husband we had a great time. I would sit at the Bam Bar every day because Piero and Ignazio both showed up there! and the photos are lovely. Hi Jill, the ridiculous thing is that all of us IL VOLO fans know the BAMBAR well for the famous granites spoken by the guys. Both myself and my husband sat down to enjoy one of their really good granite and maybe wait for the guys. In fact the Bambar is really small, very few tables inside and some outside. We walked in (it was hot) and we saw that there was no place to sit in either outside and we found out there was a list of people waiting. We had to wait 20 minutes before sitting down and then my husband thinking that the others were doing long breakfasts, approached the counter and said “look at us we just want a granite” and the owner replied “WE DO ONLY GRANITE” …….. ha ha ha ……. and all those people only expected granites. But I have to say that were really very good granites, but no guys. Jill that’s exactly what we did this year! We not only went there for granite and a brioche every day, our Apartment was just a few feet away from Bambar and La Botte. The 1st day we got there, we happened to be sitting at Bambar enjoying our granite, when up walks Piero and Mariagrazia and sits down at the table right next to us!! We had a lovely visit!😍 Needless to say we (Jeannette Giglio, Judy Paullin Thurman and I) were walking on clouds all evening! Hi Maria in Illinois, my trip was like playing “treasure hunt” just that I could never take the treasure! Hi Kelly I didn’t know what page to put my birthday greetings to Ignazio on so I put it on page September 1. Please let me if you got it. Thanks for sending these greetings for us. Daniela what is a granite. It’s a Sicilian specialty, great when it’s hot. The ice is finely chopped, becomes almost creamy and the iced fruit that you want to get together is triturated. I asked for lemon granite so lemon and ice finely chopped, very refreshing. Thanks Daniela. Right now Canada is in a hot spell which is supposed to last a good few days so luckely I have some ice cream here in freezer but I sure would love to have a granite. The more I hear or read about Italy the more I want to go there. I so want to go to Nina’s Peattzaria (probably spelled wrong). 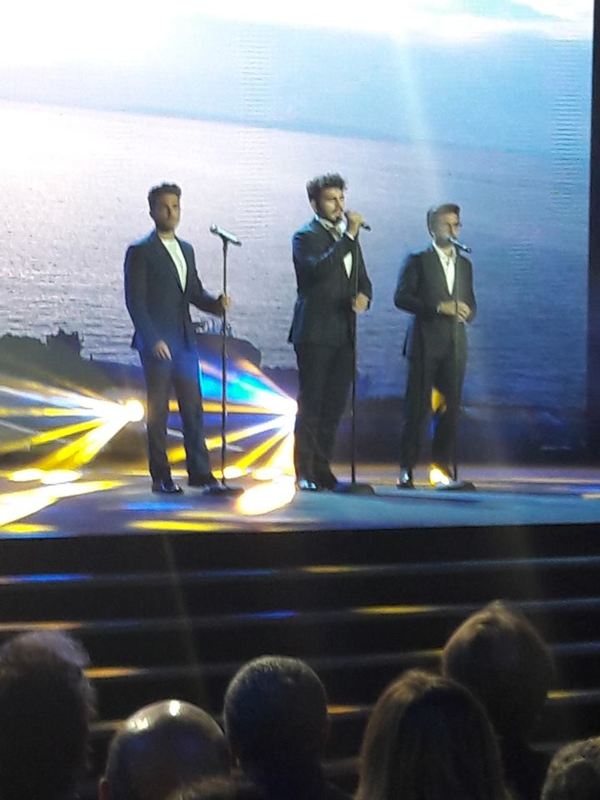 Of course if Ignazio just happened to be there that would surely be a bonus. I keep wishing but son doesn’t want to go with me. Sorry you kept missing the guys but you have there phone number to keep in touch? Lucky you. If the boys perform in Taormina next year and someone needs a traveling companion, let me know please. My traveling buddy is afraid to travel now because of all of the turmoil in the world, but neither hell nor high water will stop me from seeing the boys anywhere. Daniela, I think I misspelled Beppe’s name somewhere, mea culpa. Good for you Rose Marie that is exactly the way I feel. If my son said I couldn’t there would be an explosion all around the world & probably harykary. Nobody is keeping me from seeing Il Volo. Ciao Daniella: Just had a chance to read your delightful story on your vacation to Sicily. I was there a number of years ago and your accounts on the many locations you visited brought back fond memories. My daughter , who is an Italian professor, heads up a summer program in Cefalu. I hope that I might be able to join her on the next study abroad program in the spring of 2018!! Also applause to your Beppe for his beautiful photography ! Annette, I wrote my trip trying to summarize, but you must know that the last town we visited before taking the train was just the beautiful Cefalu. Those beautiful and evocative alleys and then the square, which magnificent glance with the cathedral with the two towers, is magnificent. It was a very short visit because we had to run to take the train but Cefalu deserves a thorough visit. Daniela, loved reading your account of Sicily. I know your handsome Sicilian husband had a grand time. So did Jane and I when we were there. Meeting the boys would have been a treat, but just being where they live is amazing! Seeing the places they love and we have heard about for so long is the real prize. Dearest Marie, I’m glad that my trip you liked, while we were in Sicily, I often thought to you and Jane that you were driving those same roads and trying to imagine your impressions. You’re right, even if we did not meet the kids, walking in the same places where they often are them is already a joy. You must know that if I met Ignazio I would have given you a kiss on your part and you would have been the first to send the photo ……. and then to all the others because the row is really long. Beautiful my hat, I bought it right in front of the Greek Theater, is a reminder of Taormina. Un grosso bacio da me e da Beppe. oh Daniela! i just finished reading this now…. every detail…. savoringly…..
and enjoyed the pics (again!) BIG TIME….. oh wow – you missed Piero by 5 minutes! … but oh! — Ignazio came to you in your dream after…. when he missed seeing you in person….. in a deep connect…. Certainly Cynthia, but next time I hope to be more fortunate and to be able to see and talk directly with the guys. I’m glad that my trip did you like. and, by the way, Piero was late for 5 minutes, so he missed his chance to see you! Daniela, is Cefalu the Cefalu in the O’ Scarrafone song by Pino? Yes Rose ,it’s just that Cefalù. Daniela, Your adventure was a lot of fun and suspenseful to read. So nice to view your personal pictures from an interesting and beautiful place. It’s just always somehow better than commercial stock photos. Seeing you in the pictures, It’s like you’re really ‘real’ ! I’d wager that your wish to meet the guys in person at home, on the peninsula and on the island, is going to be granted at some point, for you’ve now hoed the garden, planted the seeds of your dream, put in a lot of effort to meet them on their own turf. You’ve primed the pump with your intention! So, keep watering your wish with expectation and you should have success at some point, one way or another. Glad you could still enjoy your sojourn in Sicily. The very bright sunlight in Sicily reminded me of the summer light in northern California where I used to live. There can be some days of intense heat in summer there, but it’s dry heat, like a hot oven (California — “hot furnace” ! ). I wonder if it was a dry or a very humid heat — like in Florida much of the time — when you were in Sicily. I really like that picture of you standing in the shade of the palm tree in that brilliant sunlight. I’m amazed by the immensity of that stone stairway in Naro. Saints alive! I would think that frequently climbing those steps would be a great cardio work-out for the residents around there. Surely, there must be a high number of very old people in Naro. 🙂 Thanks for sharing this very enjoyable effort of yours, Daniela and Beppe. Keep that dream alive. Thank you Deborah, told by you that you have been able to see them many times is really very valuable. I’m glad that the story of my trip liked you, these guys make us do something unthinkable.